Previously, we posted block-level racial maps of the Twin Cities (here and here) and Chicago (here). Today, we have maps of Baltimore, 1990 through 2010. 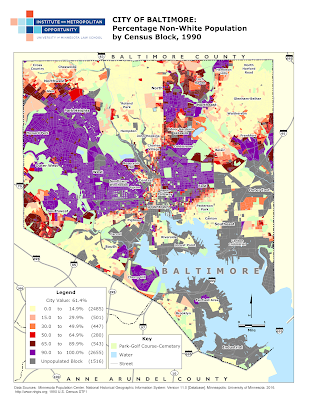 As in Chicago and Minneapolis, the segregated areas of Baltimore expand rapidly between 1990 and 2000, and less quickly between 2000 and 2010 (with the notable exception of the northeast region, which becomes much more diverse in this span). Unlike Chicago, there is virtually no visible gentrification in Baltimore, although there is some demographic churning in the areas adjacent to the Inner Harbor - many of which are uninhabited. Click the maps to enlarge; scroll through to see change over time. 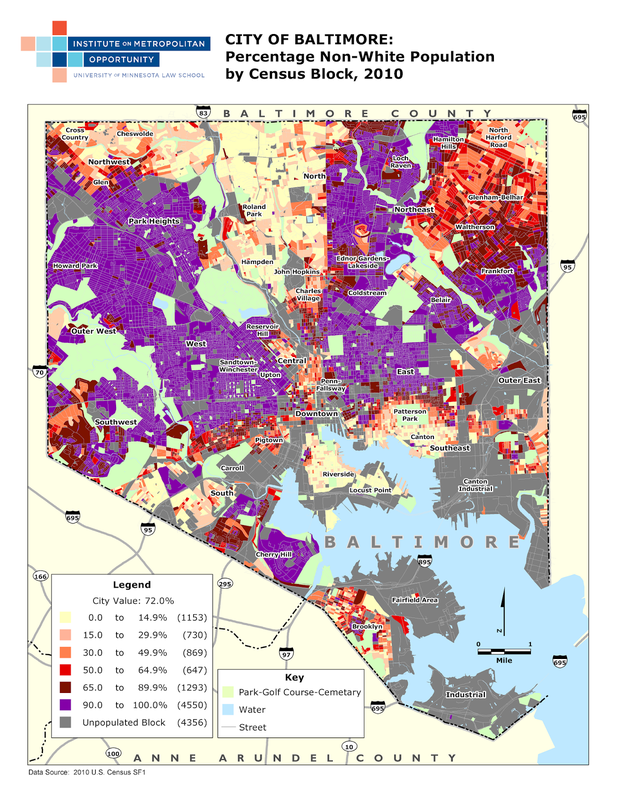 The original, zoomable versions of the maps are available here. 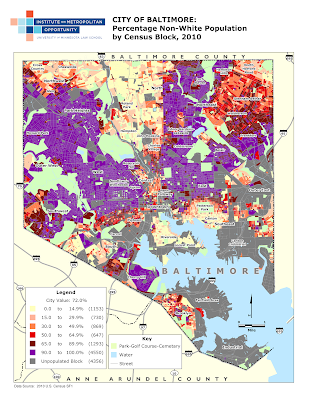 And just a reminder, more maps of Baltimore (and most other major US cities) can be found on the IMO website. Take a look. Is subsidized housing creating affordability?